Since coming back from Afghanistan in 2008, the hard-hit Second Battalion, Seventh Marine Regiment has struggled to adjust. The battalion, known as the 2/7, lost 20 men in war. In the years since, it has lost 13 more to suicide. The battalion now has a suicide rate 14 times that for all Americans. 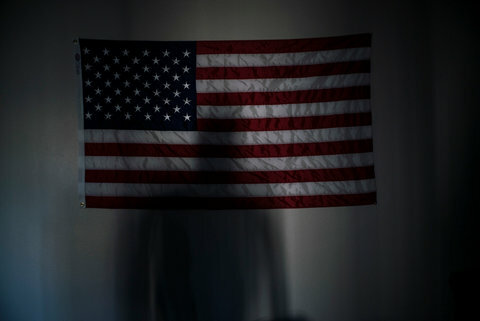 The New York Times asked Dr. Charles Engel, of the RAND Corporation, and two Marines who served with the battalion in Afghanistan, Arthur Karell and Keith Branch, to answer readers’ questions about the devastating effects of combat and the high suicide rate among veterans. The conversation took place on Facebook in October, moderated by Dave Philipps, a reporter for The Times who covers veterans’ affairs. Here are some of the questions and answers, which have been condensed and edited. Q. Why were the mental health concerns of the battalion not identified following deployment? What can be done to better identify service members who are struggling? Arthur Karell: The process for identifying mental health concerns consisted of one post-deployment health assessment (a questionnaire), along with two weeks of downtime leave after getting back to the States. Then the battalion immediately enters a training cycle for the next deployment. The overwhelming emphasis is on constant tactical training — longer-term considerations got crowded out. I have heard that this is now starting to change, and I hope that is actually the case. Allowing Marines and other service members more time to spend together as a cohesive unit after a combat deployment would go a long way to better identifying service members who are struggling. Finally, that there is zero information-sharing between the Department of Defense and the Veterans Administration makes it impossible for health providers or volunteer organizations to have access to information that could provide indications of possible problems. Privacy is an issue, but service members should at least have the option to allow their D.O.D. service records to inform V.A. health providers. Keith Branch: Ideally, if someone scored as “high risk” on the post-deployment assessment, he or she would be referred to on-base mental health services. From my memory, there were only a handful of service members who utilized these services — I was one of them. However, my stint in therapy lasted less than a month. First, there is an extremely prevalent negative stigma associated with seeking mental health services, especially in the combat arms occupations where weakness is not tolerated. I hope things have changed since 2009. Second, the mental health services on base had long waiting periods and the solution was to prescribe medication. I know more than a few Marines who became addicts while seeking mental health services. From my experience, many Marines do not show signs of mental health problems until they separate from the service. I think being surrounded by the people who served in combat with you provides a sense of security. However, that security is lost when service members separate and return home. Q. Are multiple combat deployments a contributing factor to suicide? Dave Philipps: The data suggest there is little or no added suicide risk associated with multiple deployments, but those studies have been unable to address the amount of combat seen. Second, no study has looked at this question after active duty. We simply don’t know. Anecdotally, nine of 13 members of the 2/7 who killed themselves did multiple tours. And I think it is important to note the quick succession of these tours, with less than a year between. Q. Is the pain experienced by veterans who return from combat rooted primarily in the events of the past or in their outlook for the future? K.B. : For myself and many other veterans from Second Battalion, Seventh Marines, the pain that is rooted in the past gives rise to an irrational outlook for the future. That is to say, an emotional trigger in the present can provoke the anxiety experienced in a past event and cause a veteran to have an irrational, grim view of the future. Being the tip of the spear for your country instills the highest amount of purpose one could seek to achieve in a lifetime, at least from a veteran’s perspective. The veterans who soon establish a purpose, whether through a career, volunteer work or some other activity, and have a supportive environment, tend to become happy and successful. On the other hand, if a purpose is not found during the critical period of military to civilian transition, veterans will suspend themselves in time. This can lead to many devastating behaviors such as addiction, isolation, and the list goes on. There are other important secondary factors such as the health of intimate relationships, financial stability and treatment from society. A.K. : The events of the past inform the outlook for the future. When the events of the past repeatedly trigger an anguish that doesn’t abate, it may cause a veteran to question what kind of future they have in store. I’ve heard of post-combat stress described as a response to deep moral trauma, as war is just about the most intense and certainly the largest-scale moral trauma humans inflict on one another. For veterans, post-military activities, pursuits and/or careers that involve or embody a shared purpose, go a long way toward recovery from that moral trauma. Q. What role do guns have in veterans’ suicides? D.P. : In the 2/7, nine of the 13 Marines who killed themselves used guns. I spoke to three more who put a gun to their head and pulled the trigger but did not die, and several more who had contemplated suicide with a gun. It appears to be a very big risk factor to have a gun in the house. The V.A. has recognized this, but has been careful in how it presents advice (recommending storing weapons voluntarily with a friend) because doctors don’t want veterans to avoid treatment out of fear they will lose their guns. Q. I know so many veterans who are prescribed all sorts of prescriptions off label and leave the V.A. with a plastic bag full of drugs. Do we know whether these drugs have an effect on the suicide rate? C.E. : Unfortunately, determining whether there is a causal link between multiple medications and suicide is extremely difficult. The bag of pills observation is all too common in my clinical experience and never a good thing. It’s essential that any person taking prescription psychoactive medication only does so while under the close care of an appropriately credentialed and skilled clinician. Leftover medications and old pill bottles should be disposed of completely to prevent confusion. Less is often more when it comes to the benefits of medications — more medications leads to increased chance of side effects, drug-drug interactions, and mistakes — both by patients when taking them and clinicians when prescribing them. It’s always best to have a primary care clinician who leads the treatment team who can review and oversee your entire treatment regimen. Q. The public generally uses post-traumatic stress disorder, or PTSD, as a catchall label for the psychological effects of combat. Are there distinct treatments for other issues — guilt, depression, loss of interest in life — that seem to fall outside the clinical definition of PTSD? C.E. : PTSD, as used among mental health professionals, is a clearly defined constellation of persistent symptoms that is serious enough and lasts long enough to result in significant problems for the person suffering from them. The traumatic psychological events that can result in PTSD go well beyond military-related trauma and can include, for example, accidents, natural disasters, child abuse, and physical and sexual assault. Similarly, the downstream effects of PTSD can be broad and include a range of mental and physical health effects that fall outside the technical definition of the disorder. The most common of these include depression, anxiety, alcohol and drug misuse, chronic pain and sometimes poorly explained but disabling physical symptoms. There are evidence-based treatments for these problems. Those treatments can sometimes overlap with the treatments for PTSD, but combining treatments to target each person’s unique circumstances and health profile is essential. Q. Why isn’t more being done to try and understand the connection between drug and alcohol use and PTSD? D.P. : In my reporting on the 2/7 battalion, I found alcohol was a huge factor in a number of deaths. Many of the guys were treating their anxiety and sleep problems with alcohol, which generally created more problems (eroding their support system of loved ones, for example.) At least five of the 13 Marines I wrote about shot themselves while drunk. Q. Why doesn’t the V.A. track suicides by unit and command? Wouldn’t that tell us a lot about conditions inside those units and who might be in danger? D.P. : For generations, the V.A. has for the most part attempted to look at all veterans the same regardless of rank or service. This was done altruistically in an attempt to provide veterans the same standard of care. Now, however, health care increasingly uses Big Data to do risk prediction. So all the factors of military service may be extremely helpful in predicting who, for example, is most likely to kill themselves, and what patterns or clusters are emerging. A system that combined military and V.A. data could conceivably spot a combat unit with a high level of mental health issues and target it for outreach. It could also inform policy makers about who is at risk and when, so resources could be designed to meet actual needs. However, the military and V.A. still have a bureaucratic gulf between them that neither is likely bridge alone. Q. The figure coming from the V.A. : “22 veteran suicides every day” is said to be misleading. Why? D.P. : The statistic was offered by the V.A. in one of their recent suicide reports. While it seems to be a staggering number, it is actually misleading because it doesn’t tell us the rate as compared to the larger population, so we don’t know if the rate is elevated, and what the trend is. A couple more helpful numbers: The suicide rate for all veterans who served between 2001 and 2009 is about 30 deaths per 100,000 — more than twice the national average. And the risk for them is greatest in the first three years after separating from the military. Q. With the increased involvement of women in the military, how do their suicide numbers compare with those of men? C.E. In the military as in the general population, rates of suicide are consistently higher in men than women. However, research suggests that currently deployed women may have higher rates of suicide than military women who have never deployed. In contrast, currently deployed men show little if any increased suicide risk compared to military men who have never deployed. An Army study found that the risk of suicide among currently deployed women was about three times that of nondeployed women. Even so, the risk of suicide among currently deployed men was still almost twice as high as for currently deployed women. D.P. : In general, women have much lower rates of suicide than men, in part because men tend to use firearms more often. But a recent study found women who are veterans are drastically more likely to commit suicide than civilian women. This may be because women who are veterans use firearms more often.